Happy New Year … almost! Hopefully all of you have had a memorable 2015 and are excited about all of the new opportunities that come with a new year. Make sure and be safe tonight while celebrating. We look forward to spending another fun and healthy year with each of you! Check back with us in January to see some new and exciting things that we have going on for the kids in the new year. Here’s to a healthy 2016! It’s the beginning of October, but definitely not too early to be talking about Halloween. Kids anticipate this holiday for weeks; talking all about their costumes, and of course the sweet treats that are passed out. With all the excitement of Halloween, it’s important to remember that there are some things to consider to make sure kids are prepared and safe on the big night. We will share a few trick or treating tips throughout the month and the first one is to make sure and wear comfortable shoes. While a costume may call for some crazy shoes, make sure to consider that there will be a lot of walking going on and the kids need to be comfortable. For a young girl, there are a number of groups and organizations that one can join for a variety of reasons. There are sports teams, drama clubs, musical instruments to be played, and plenty more, but there is one longstanding tradition that little girls like to be a part of and that is becoming a Girl Scout. The girl scout lessons and skills learned throughout the years are priceless. It is so important though, as Madame Muscle finds out, for the kids to put in the proper time and hard work that it takes to actually benefit from being a girl scout. Find out what Madame Muscle realizes as she starts to earn her badges. It’s a great lesson for girl scouts and for life in general. Back to school time is an expensive one for sure! So, if you can come up with some ways to save some cash, by all means, do it! Most likely your kids, just like Madame Muscle in this case, will want a brand new backpack for the new school year. This can be expensive, especially if you have multiple kiddos needing them. If the backpack is in good shape, but could just use a little TLC, teach kids to be frugal and creative with it to save on those costs. 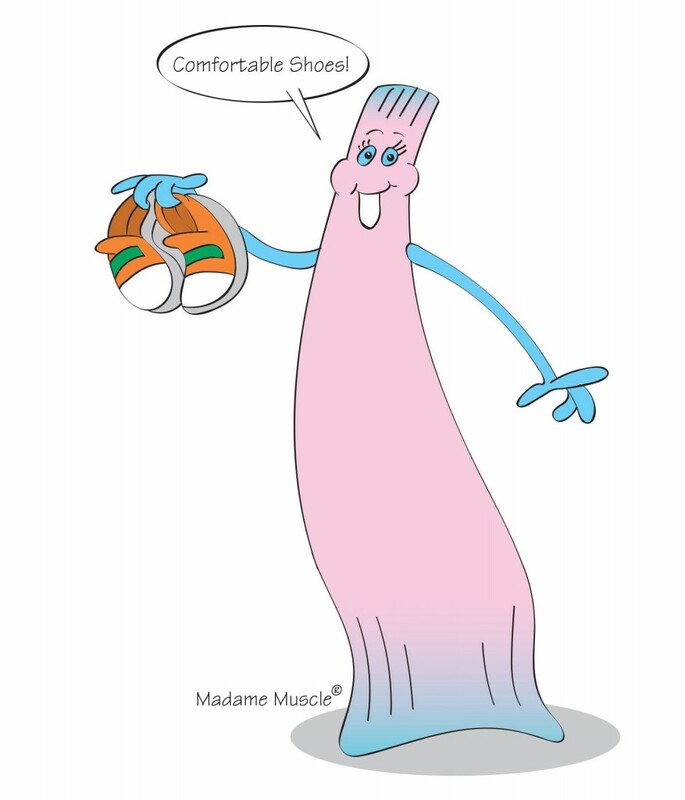 Madame Muscle shares how she was able to make her backpack just like new so make sure to get the coloring sheet and activity sheet for today. The kids will be able to design their own backpack and then maybe they will want to do the same to their own! You will be a happy camper if you are able to teach kids to be frugal and creative at a young age. Good luck! Exercise is very important for both kids and adults. Many kids and adults alike, think of exercising as a chore and think that it can’t be fun. We are here to tell you that there are a number of ways that exercise can be fun. The more fun you make exercise, the more likely you are to be consistent with it! Being physically active on a regular basis, along with making healthy food choices, is vital for good health. 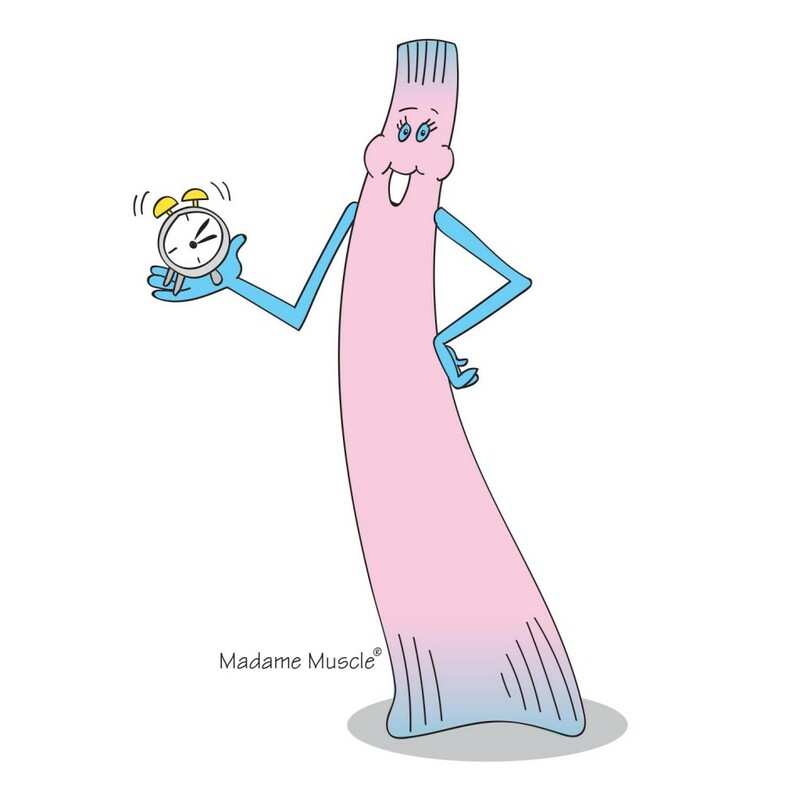 Make sure and download the coloring sheet to see what type of event caused Madame Muscle to discover that she got a lot of exercise and soreness without even realizing it. Prior to this event, Madame Muscle did not realize that exercise can be fun!